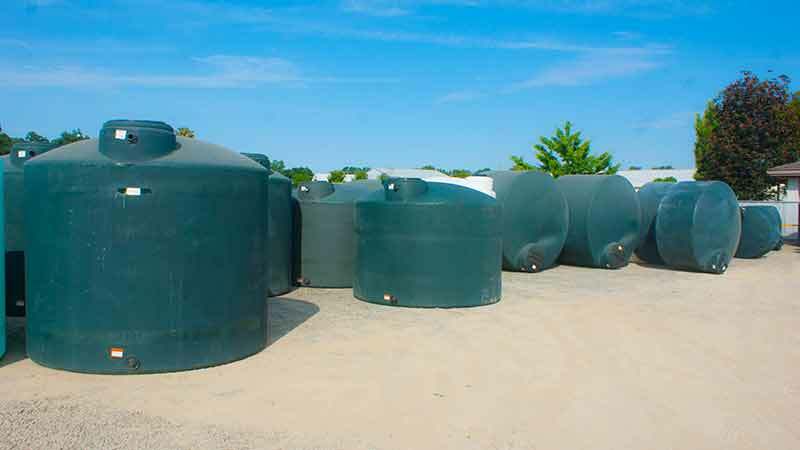 Norwesco's water tanks are manufactured using resins which meet FDA specifications to ensure safe storage of potable water. The black or dark green color limits light penetration, reducing the growth of water-borne algae. 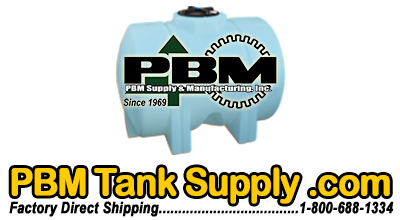 Rated at 8 pounds per gallon, these tanks are for WATER STORAGE ONLY! They should not be used for chemicals, fertilizers or any other product. Where applicable, the tanks will carry NSF approval. Please contact PBM Supply for more specific information regarding NSF approval. 120 gallon dark green poly vertical water tank with 1 1/2" top poly fitting, 2" bottom poly fitting and a 5" lid. 120 Gallon black poly vertical water tank with 1 1/2" top poly fitting, 2" bottom poly fitting and a 5" lid. 120 Gallon green poly vertical water tank with 1 1/2" top poly fitting, 2" bottom poly fitting and a 5" lid. This tank is only available from California. 165 gallon dark green poly vertical water tank with 1 1/2" top poly fitting, 2" bottom poly fitting and a 16" lid. 165 gallon black poly vertical water tank with 1 1/2" top poly fitting, 2" bottom poly fitting and a 16" lid. 165 gallon green poly vertical water tank with 1 1/2" top poly fitting, 2" bottom poly fitting and a 16" lid. 200 gallon black poly vertical water tank with 1 1/2" top poly fitting, 2" bottom poly fitting and an 8" lid. 200 gallon green poly vertical water tank with 1 1/2" top poly fitting, 2" bottom poly fitting and an 8" lid. 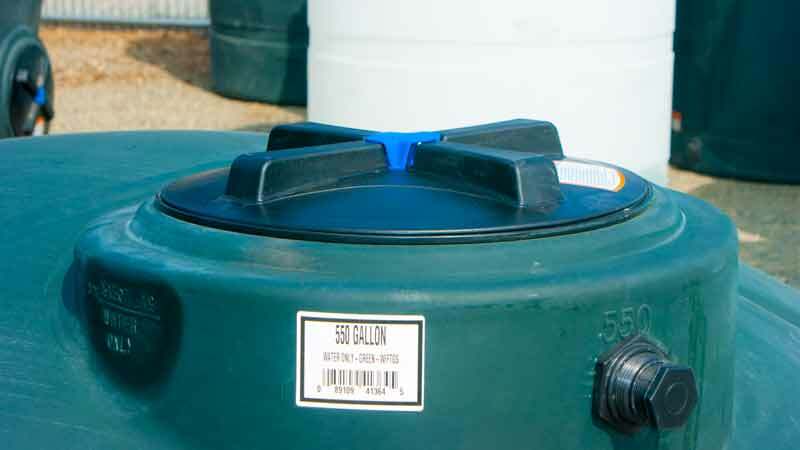 220 gallon dark green poly vertical water tank with 1 1/2" top poly fitting, 2" bottom poly fitting and a 16" lid. 220 gallon black poly vertical water tank with 1 1/2" top poly fitting, 2" bottom poly fitting and a 16" lid.